The pretty white flowers of these autumn flowering cyclamen bulbs set off the colours of autumn perfectly. A hardy little flower that will flourish even in shady conditions, this one’s perfectly happy in beds or borders. 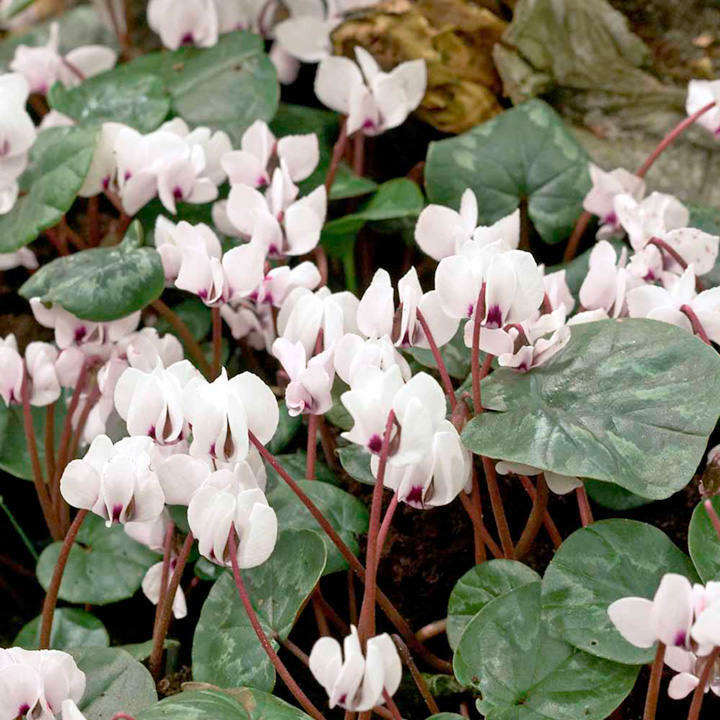 There’s nothing like stepping outside on an autumn day to a carpet of autumn colour, and the dainty white flowers of cyclamen coum album brighten up any autumn or winter’s day. We’re always looking for ways to grow bright summery colours during the winter. Cyclamen are great for adding flowers to your beds and borders during autumn and winter, and when spring rolls around they’ll still be blooming as your garden comes back to life. 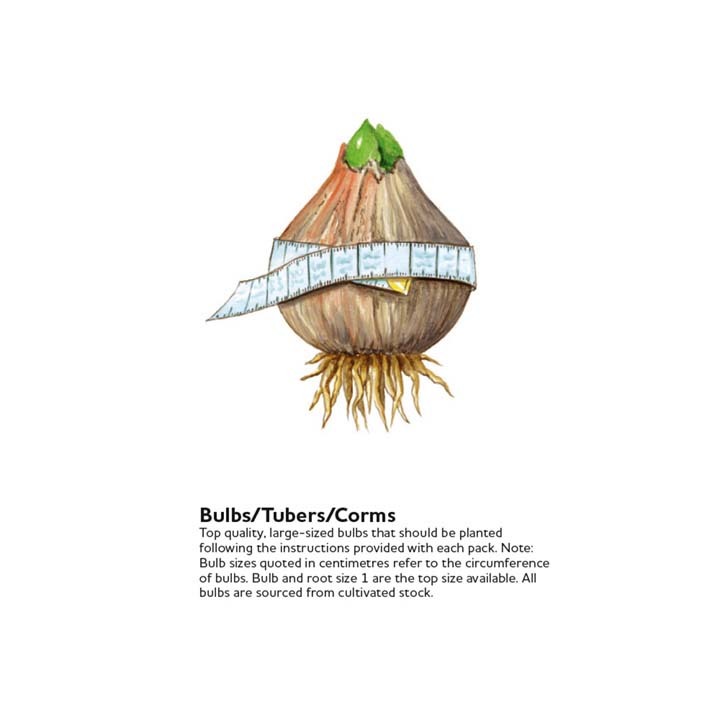 Hardy and tough, they’ll thrive in shady conditions, so they’re brilliant autumn plants. Cyclamen will grow in any well drained soil. Choose a lightly shaded position and plant the corms 10-15cm apart just below the surface. Cyclamen hederifolium will flower during September and November and the Coum varieties December to March.